Shop inside our online store for state of the art espresso machines, ice cream machines, espresso pods, coffee grinders, spare parts, Dualit™ appliances & accessories by Rosanna™. Create delicious treats with coffee, espresso, and ice cream machines from our sales and repair company in Bergenfield, New Jersey. Since 1951, Electra-Craft.com has been selling specialty kitchen appliances including espresso machines, ice cream machines, coffeemakers, coffee grinders, and espresso pods to help satisfy the palates of drink and dessert connoisseurs the worldwide. We also provide repair services and spare part sales to ensure your machines keep working for a long time. Contact us at (201) 439-1700 to speak with one of our skilled staff members today about your dream appliance. Enjoy a bubbling cup of your favorite brew with the help of some of the best coffee and espresso machines available on the market today. You'll find semi-automatic and fully-automatic machines from Ariete™, Espressione™, Illy™, Francis Francis™, Saeco™, Gaggia™, Briel™, Pasquini™, Ranchilio™,Solis™, La Pavoni™ and Nemox™. These ready-to-go coffee and espresso machines are ready to bring the experience of your favorite coffee shop into your own kitchen. Indulge your senses with delicious espresso pods from Espressione™. These pods are from an Italian roaster located off the Amalfi Coast in Italy and can be used in any espresso machine that accepts ESE pods. There are three different blend choices available in individually packaged and sealed pods that contain up to 7 grams of coffee. Enjoy 100% arabica coffee in the Decaffeinated Blend or the Espresso Blend, which is a perfect mix of arabica and robusta. Pods are packaged in either 18- or 150-count, and they will have you enjoying the morning all over again. Homemade ice cream is one of the finest treats you can enjoy. We sell Musso™, Nemox™, and Lello™ self-contained, refrigerated ice cream machines. With these you can have a batch of delicious desserts waiting for you. Some of these stainless steel batch ice cream makers are even commercially rated for restaurant use. 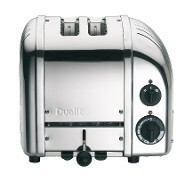 Dualit is a 50-year-old company that specializes in handmade toasters for the kitchen. These high-quality units are made out of stainless steel and are known to last for many, many years. 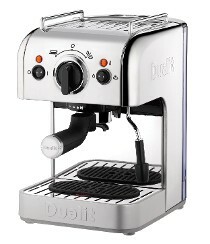 Dualit™ also has various other kitchen appliances for sale, including their Dualit Lite™ line of toasters, hand blenders, hand mixers, percolators, and teakettles. Shop onlie here to see the complete line of Dualit™. We sell a variety of spare parts for many manufacturers. Shop online for spare parts from Gaggia™, Gaggia Commercial Parts,DeLonghi™, La Pavoni™, Simac™, Dualit™, Saeco™, Briel™, Espressione™, Francis Francis ™ , Nemox™ and others. If you do not see the part you need, email or call us and we can assist you. We ship spares WORLDWIDE. Please note, that parts orders should be processed and shipped within 48 hours in most circumstances. Call us today at 201-439-1700 for more information about how you can save money on coffee and espresso machines.